Isle of Skye Croft House, Scottish western Isles. An original abstract, atmospheric landscape painting of the Isle of Skye Croft House, Scottish Western Isles. Titled & signed prints are available to buy including the original painting if listed. Sizes, prices & formats below, alternative sizes available on request just get in touch. 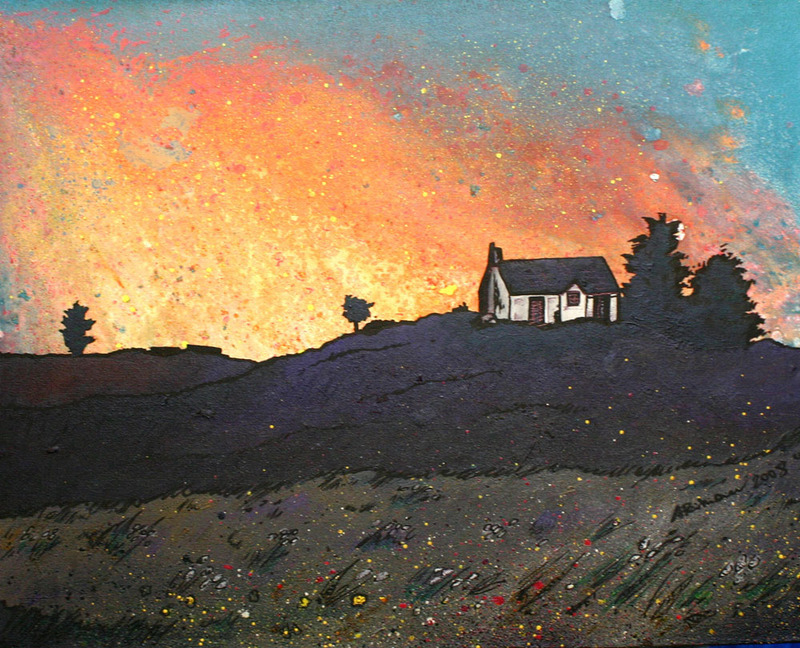 Painting & Prints of The Isle of Skye Croft House, Scottish western Isles by Scottish artist A Peutherer. Paintings & prints of Skye - Isle of Skye Croft House, Scottish western Isles.